• A Comprehensive Multivitamin With Over 20 Ingredients To Support Peak Condition In Cats Of All Sizes and Ages. • Made From The Extract Of Catnip Plants. • Spray On Toys, Scratching Posts and Other Objects To Attract Your Cat and Watch Him/Her Get Cat-Ti-Tude! • Helps With Shedding Worms, Scooting On The Ground, Rice-Like In Stool. • Will Helps With Hookworms, Roundworms, Tapeworms, Pinworms, Threadworms, Bots and Flukeworm. 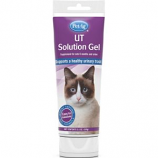 • Helps With Meowing, Crying, Hiding Under Furniture, Drooling, Cowering, Trembling and Shaking, Or Running Away. • Will Helps With Separation, Traveling, Vet Visits, New Animals To Home, Strangers Or Spraying. • Complete Food Source For Orphaned Or Rejected Kittens Or Those Nursing But Need Supplemental Feeding. 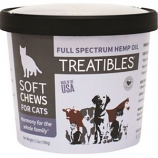 • Recommended For Growing Kittens Or Stressed Adult Cats That Require Highly Digestible Nutrients. • Powder Easy To Mix With Water. 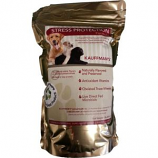 • Helps With Biting, Licking, Constant Scratching, Hair Loss, Skin Irritations and Eruptions. • Will Helps With Skin Allergies Or Seasonal Allergies. 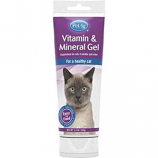 • Apply 1/2 1 Of Paw-Gel To Your Cat S Paw Once Daily. Because It Tastes So Good, You Can Even Offer It Right From The Tube. • Powder Is Easy To Mix With Water. • Nutri-Cal Is A Calorie Supplement That Provides Extra Energyin An Easily Digested, Low Volume Gel For Cats and Dogs. 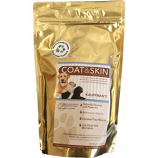 • Nutri-Cal Has Been Successfully Used For Stressed Or Debilitated Animals, Suffering From Illness, Surgery, Whelping. • High Calorie Supplement Provides Extra Energy and Nutrition. • Easily Digested Great Tasting Gel. • Veterinary Standard For Appetite Stimulation and Balanced Nutrition. • 12 Tsp Per 10 Lbs Of Body Weight 3 Tsp Per 10 Lbs When Your Cat Is Not Eating. Great tasting formula with no petrolatum. Helps prevent and eliminate hairballs. . . . Contains cranberry extract and oregon grape root to support a healthy urinary tract. Promotes optimal bladder healthy and supports normal kidney detoxification. . . .
• Complete Food Source For Orphaned Or Rejected Kittens Or Those Nursing But Needing Supplemental Feeding. • Recommended For Growing Kittens and Stressed Adult Cats Thatrequire Highly Digestible Nutrients. • Ready To Feed Liquid Formula. Contains four 3.5oz tubes of each sku. 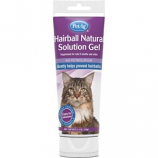 Hairball Natural Vitamin & Mineral High Calorie Hairball Skin & Coat and UT Solut. Great tasting easy to give gels. . . .
• Nutri-Stat Is A High Calorie Supplement For Dogs and Cats. • It Is Vitamin Enhanced With An Irresistible Taste That Will Not Burden The Digestive Tract. • Contains Omega Fatty Acids For Improved Nutrition. The Epi-Pet Omega 3-6-9 Smoked Fish Supplement is a natural fish product used to promote the health of dogs and cats. * The product consists solely of the wild caught bay anchovy known as "anchoa mitchilli". This anchovy is high in EPA and DHA polyunsaturated fatty acids which promote healthy skin, coat, bones, joints, heart, brain, liver and kidneys in your pet. 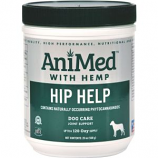 * The nutrients in this product are highly bio-available meaning they are immediately ready and available for use in the body of your pet. * Dogs and cats are drawn to the flavors of fresh smoked fish. Veterinarians recommend routine supplementing of your pet's diet with natural omega products. Recommended as a dietary supplement for both active and aging dogs and cats. Helps maintain normal emotional balance. 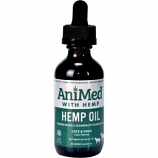 May help instill calm vitality and maintain a normal inflammatory response. Promotes healthy joints and flexibility. . .
Pet Kiss Probiotics for Dogs and Cats was developed to aid your pet's natural defenses in the fight against harmful pathogens. • Just Sprinkle Over Food.